I am back in the US now, and it is long overdue to catch up on some blogging about my time in Indonesia. 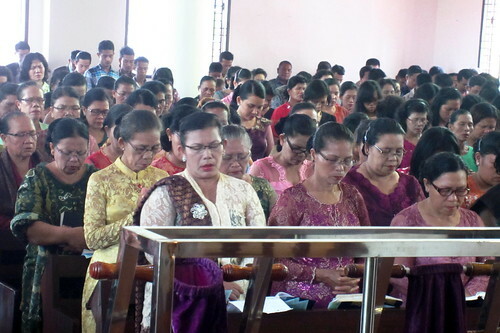 At the end of March, I was invited to preach in a congregation in Medan, the capital city of North Sumatra, and some 7 hours from my usual residence in Balige. Actually, we had planned for the visit in 2013, however, I had to cancel due to the time I had to spend renewing my work visa. Finally having the time, I was graciously welcomed in the spirit I have come to know well among the Batak people. 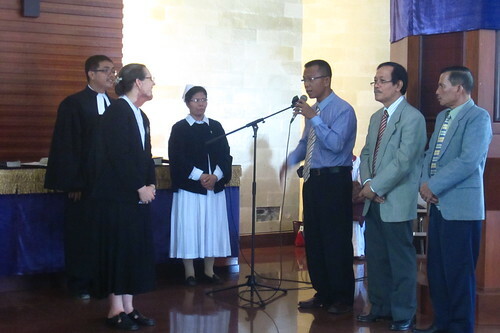 Not only was I nervous about preaching in general, but this task was difficult because my deaconess companion speaks limited English (and I’m not good enough in Indonesian or Batak language to write a full sermon). So, in other words, I had to write a sermon in simple enough English that could be translated, true to Scripture, and all the while interesting enough. The lectionary followed by the HKBP church is different than Lutherans in the US, and the text that I was to preach on came from Ephesians 5:8-14. Thankfully, there is a simple theme in there: Walk as children of light. It went well, and I am very grateful for the opportunity. 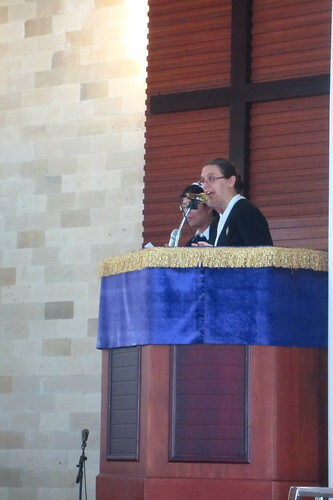 The Podium was really high, like the old cathedrals in Germany. 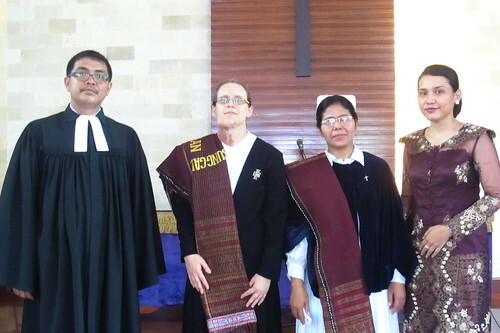 Giving me a blessing and presenting with an ulos, a Batak blanket, as a special symbol of our friendship.